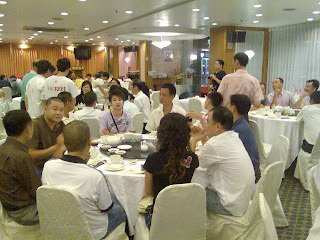 It was a night of double joy at the Tai Seng Teochew Restaurant in Singapore. 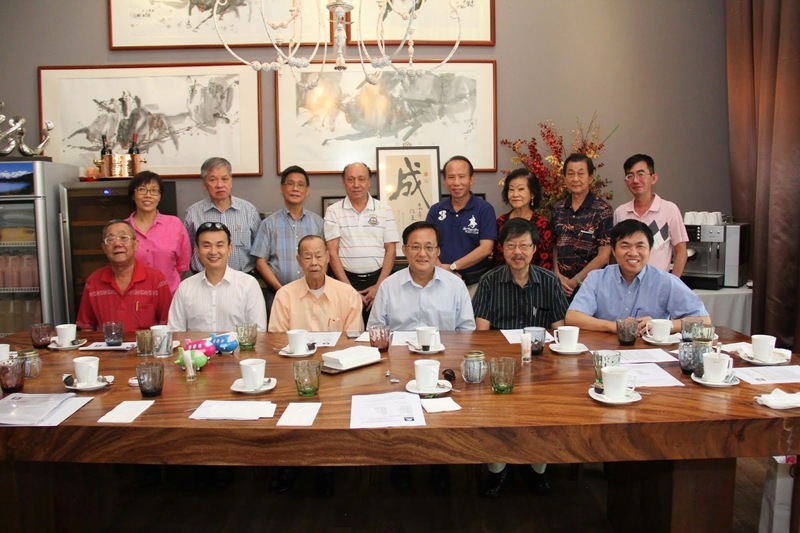 First, the Seng Clan Association (Singapore) hosted a dinner reception for the delegation of 40 clansmen from China. 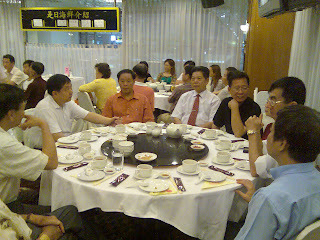 This was a traditional way of welcoming guests from abroad and an opportunity to strengthen social ties. 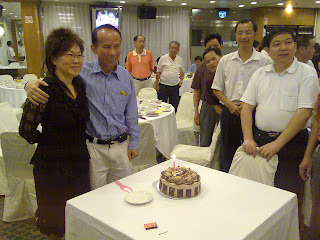 Second, it was the birthday of our committee member Mr Sung Yoon Chon. 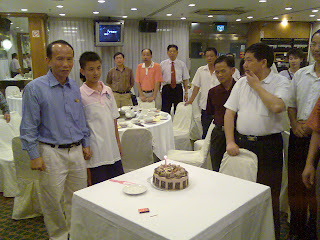 It was the first time he was celebrating his birthday at such an occasion. This made the dinner reception more meaningful and extraordinary. 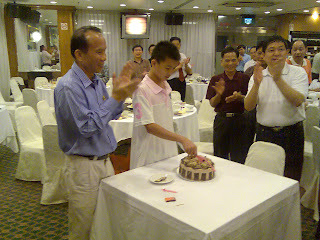 The birthday boy was all smiles as he cut the cake to the cheers and many good wishes lavished on him. 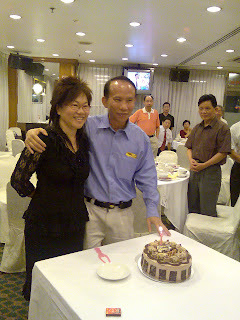 Indeed, it was a memorable party which would long be remembered.